The Texas public finance operation provides services to states, cities, towns, counties, special districts (non-profits such as hospitals, nursing homes, housing, adult care facilities and special facilities), school districts, and housing and infrastructure developers, among others. We provide financial expertise in capital planning, budgeting and debt management. Our industry expertise and long term relationships bridge the lines of communication between issuers and the investment community. We promptly respond to and help clients understand current interest rates, bond market conditions and trends, and changes in federal and state laws and regulations that affect your bonds and future borrowing plans. HSE provides a full range of services as financial advisors or underwriters. The planning process begins with a review of a municipality’s finances, existing indebtedness, previous borrowing practices, budgets and capital improvement plans. HSE identifies policy alternatives, assists in developing operating and capital budgets and formulates alternative debt structures and financing techniques. It is important to assess foreseeable project risks before structuring financing. HSE helps develop options which permit your municipality to make informed decisions. HSE provides the same applicable services for health care as with housing. On behalf of municipalities and developers, HSE structures infrastructure financing for water, wastewater, solid waste, streets, lighting, etc. HSE assists schools with referendums, helps them secure bond insurance, markets bonds, and attends to closing details. HSE will assist issuers and other eligible entities obtain funding through various state and federal programs. Programs may provide lower interest rates, grants, matching funds or other assistance. HSE will monitor issuers’ outstanding debt to provide information or advice on refunding (refinancing) opportunities. HSE will help prepare and distribute your official statements and other documentation needed to ensure that the sale of bonds complies with industry practices, laws and regulations. We work with bond counsel, construction professionals and auditors to safeguard your investment. HSE’s experience in financing public development projects lends significant value in problem solving, recognizing inconsistencies and negotiating better pricing, thereby saving your community time and money. HSE aggressively markets your bond issue to achieve the lowest cost of financing. Our daily participation in the national bond markets assures you the most competitive rates. For more information about any of our services please contact one of our Texas Public Finance Representatives. Mr. David Tiffin is a Senior Vice President with HSE. He has worked in Texas public finance for more than 40 years, serving Texas issuers as an issuer CFO, a financial advisor and bond underwriter. He joined HSE in August of 2017. Prior to joining HSE, Mr. Tiffin spent 27-years as Chief Financial Officer with the Richardson Independent School District in the Dallas, Texas area. After his issuer tenure, Mr. Tiffin began his public finance banker career in 2002 focusing on assisting education entities, both K-12 and community colleges, in executing transactions totaling more than $10 billion in bond par amount for public capital needs. Mr. Tiffin has also provided testimony to the Texas legislature on education finance and other issues and is a frequent presenter to education audiences on education finance, election planning and community engagement. Mr. Tiffin is active with Texas Association of School Administrators (TASA) and Texas Association of School Business Officials (TASBO). 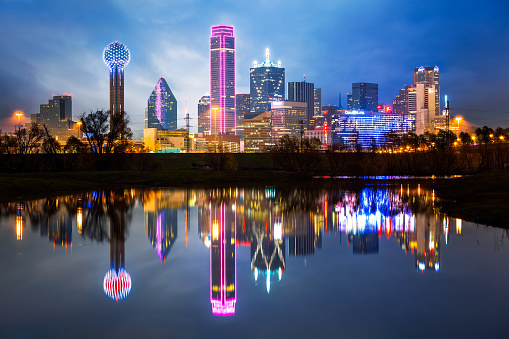 Mr. Tiffin graduated from the University of North Texas with a BBA in Accounting and holds Series 7, Series 52, and Series 63 Municipal Securities licenses. Mr. Tiffin and his wife Kelly, the Chief Financial Officer for the Coppell Independent School District, have a son, a daughter and a grandson in Dallas County. Yvonne Bustamante is an Administrative Assistant in HSE’s Houston office. She joined HSE in our Houston office in 2009. She works closely with Mark Nitcholas on handling the day to day needs of our Texas clients. She has worked in the municipal bond industry since 2005. Prior to that, Yvonne worked for the Houston Chronicle’s Finance Department.